Well, at least thats what someone called it today! This was a birthday cake for my step-dad. Chocolate madeira cake with vanilla buttercream. 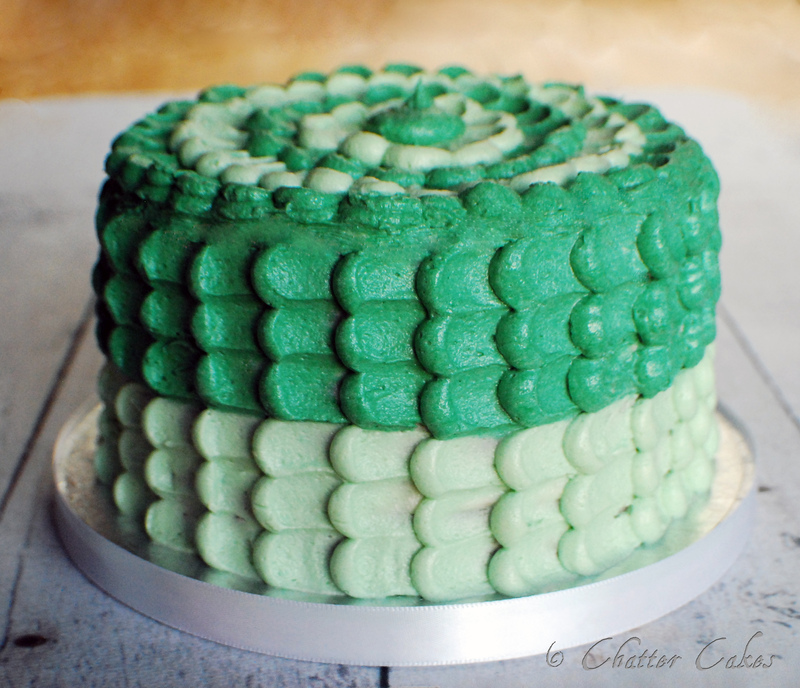 It was only a small cake, so I didn’t get to use all three gradients of green that I had prepared, but oh well! I’d love to have a go at this technique on a bigger scale sometime. 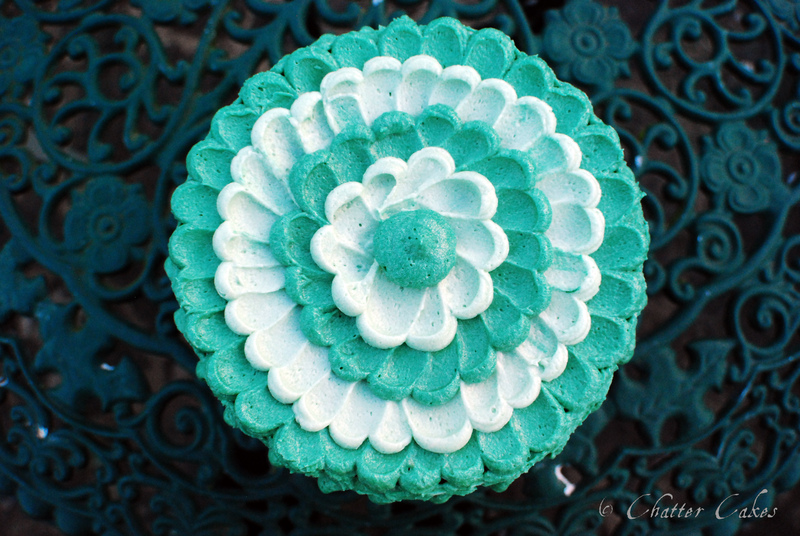 The pattern is made out of buttercream. It is one of those techniques that is weirdly calming – probably down to it being so repetitive. So I’m sitting here in the Chatter Box waiting for a fruit cake and madeira to finish baking. This is one of those nice quiet moments, where I can just reflect on what has been going on, and what I have ahead of me. Its been a day of organising, which is fab. I sorted out my folders, cleaned everything from top to bottom in the studio and planned the rest of the week. I’ve got two cakes due…one football themed and one based on a childrens show (shame its actually one of the shows that REALLY freaks me out…more than even the Teletubbies!). Wish I had a recipe to share with you all, but I’ve been so busy, all I have at the moment are photos of the finished cakey product!